Rivers:-well the weather has been wet, wet ,wet, but there has been some good reports up the Euc river but not many most fish have moved back down. With the rivers up and running hard most fishermen have been doing it hard and looking in the deeper water with some good results. with the river running so hard you must get to the bottom with the Glow bugs no bottom no fish. at the moment you will have to go looking for the fish standing in one spot won't help. The Thredbo river is not doing much better with most off the fish have gone back down stream. 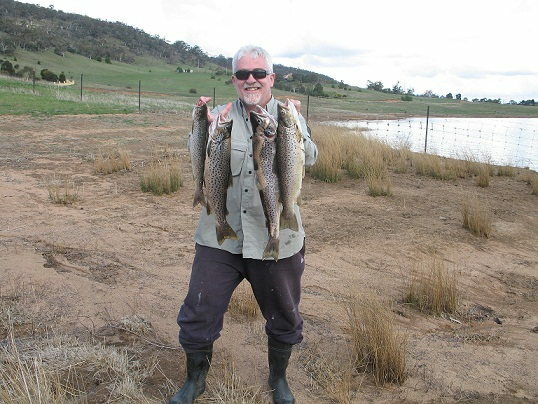 Lake Eucumbene:- is still fishing good around Rushy’s Buckenderra, seven gates, and old Adaminaby. if you wan't better results you must go looking for the fish standing in one spot won't help. The weather has been playing a big part for most fishermen this has been putting the fish down you will find it a lot better if you start using B/H Nymphs and woolly buggers and start counting down to see where the fish are. 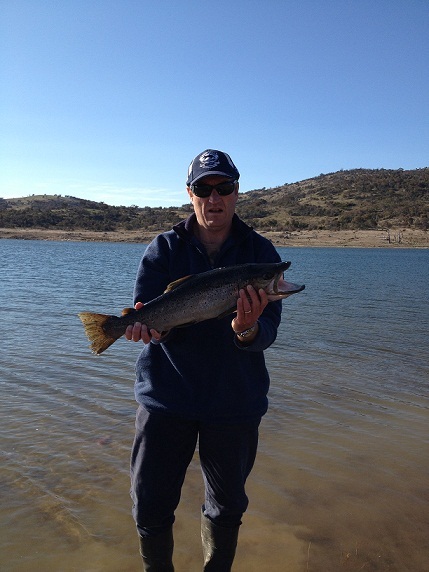 John McNeil and I picked up some nice brown trout today by trollling Jindabyne. Attached is a photo of best four (1 x 53cm, 2 x 45cm, and 1 x 33cm). We also caught and released another six fish (3 brown and 3 rainbows) that were legal size (we had a enough for a feed). Best lures today: flatfish (with a white and yellow underbelly) and a Rapala brown trout pattern (50mm?). 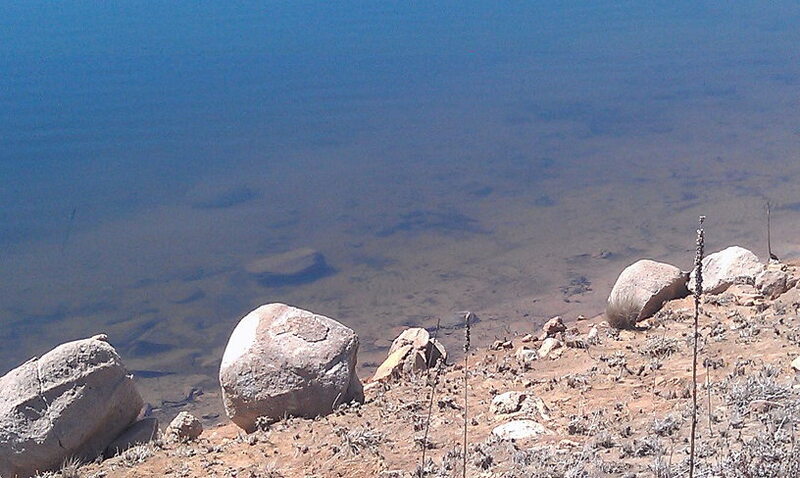 Flatfish must have been used in this lake for a lot of years but they still appear to work! Intersting but possilbly not relevant is that majority of fish were caught on the one rod - 2 kg braid with a 2m 2 kg flororcarbon leader. Two out of four browns had guts full of yabbies!